Boost Mobile has announced its new Boost Anytime Plus mobile plans, which ensure Boost customers will get more of what they want with a double data offer up to 24GB. “We know Boost Mobile customers want more data, more speed, all on a great network. The team at Boost are excited to be launching this new offer for customers considering a new option in pre-paid,” said Jason Haynes, General Manager, Boost Mobile. Boost Mobile’s new $20 recharge offers customers unlimited calls and texts, and 1GB of data with a 28-day expiry. Joining Boost Mobile’s current fleet of plans, the company say this new price point gives customers more options to choose a plan that will suit their daily needs. “Boost Mobile customers live action packed lives; they want the ability to share and communicate with their friends, followers and loved ones, anywhere and anytime. Having plenty of data is essential,” said Mr Haynes. Boost Mobile has also introduced data rollover for unused data on $30+ recharges. Data lovers will also be pleased to discover greater data inclusions on $40+ recharges, with Boost Mobile increasing data inclusions by 3GB from its previous plans. This double data offer is only available to new customers to activate and recharge a boost SIM from Tuesday 31st October 2017 to 6th February 2018. For $30+ recharges, unused data expires unless you recharge $30+ before expiry. Any unused data will then roll over and expire at the end of the next 28-day period. 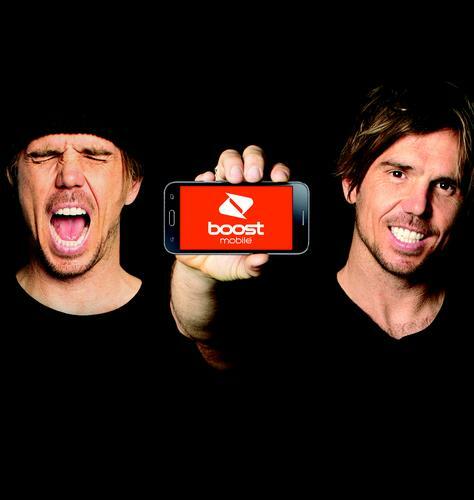 Boost Mobile prepaid offers will be available from 31st October 2017 online at www.boost.com.au or at one of 12,000 retail outlets Australia wide including Auspost, BigW, Coles, JB Hi-Fi, Kmart, Target, 7 Eleven or Woolworths.